Thanks to the kind generosity of Balaam Eco Adventures guests, the primary school in Bullet Tree Falls Village in Cayo District Belize recently received much-needed school supplies as part of the Balaam Eco Adventures Sustainable & Responsible Eco-Tourism program in partnership with Pack for a Purpose program. Oscar began partnering with Pack for a Purpose from the inception of Balaam Eco Adventures. 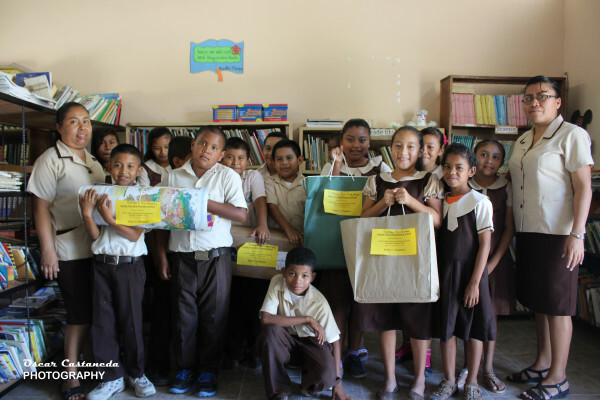 Pack for a Purpose encourages foreign visitors to pack basic medical and school supplies in their luggage when they come to Belize. Thanks to the partnership, the SDA primary school in Bullet Tree, Cayo District recently received a generous supply of basic school materials.